Before you dive into customizing your theme, there are some core components that you'll need to set up in your Shopify admin–basic Shopify settings that will give your store a firm foundation and allow you to make the most of what our themes have to offer. All Pixel Union themes are equipped to showcase large product collections, but some of them are also specially designed for single products. In any case, the process of adding a product remains the same. 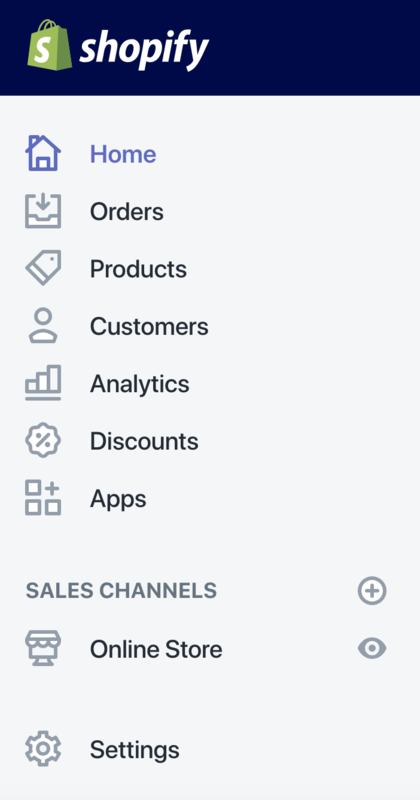 To get started, go to Products > All products within you Shopify dashboard. Then click the Add product button on the right side of your screen. At a minimum, you'll want to add a title, description, images, and price for your products. The product title is what your customers will see on your store. Titles will provide fundamental information about the product. Best to keep titles brief and specific–any important info that doesn't fit in the title can be written in the description. The product description is displayed on product pages. 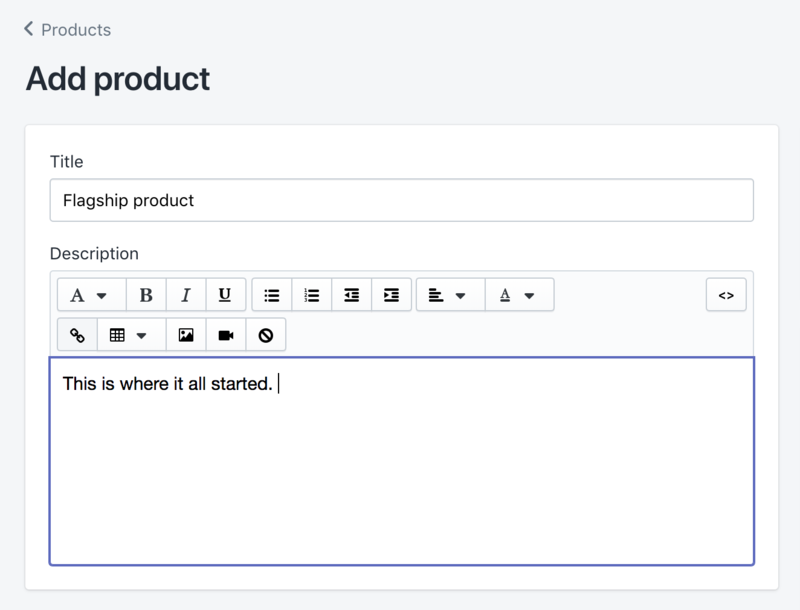 Shopify has some great tips on how to write product descriptions that sell. The recommended images dimensions for product images are 2000px by 2000px. This will ensure that images will maintain quality when viewed on high-resolution screens. Consistency is the main priority with product images, as different dimensions for products may cause layout issues. Use either PNG or JPG (JPEG) file formats for images. The Responsive Images update will automatically resize images for different device and window sizes, so opting for larger images is recommended. 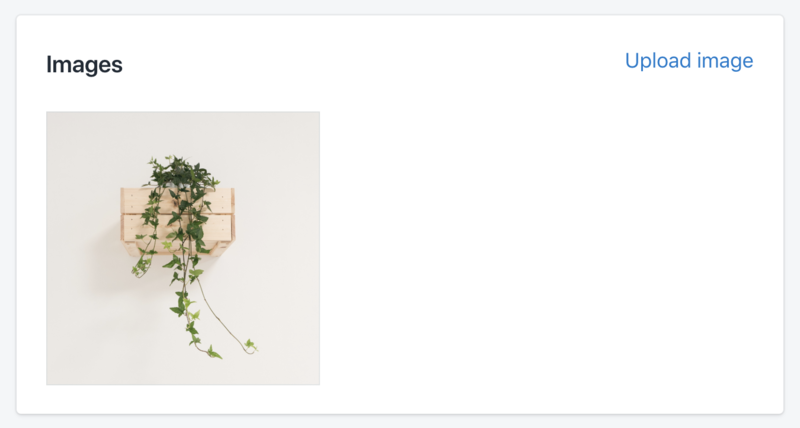 While you can upload product images one by one as you add new product pages, you can also head to the Admin > Settings > Files section of your Shopify dashboard and use the bulk upload tool to upload many product images at once, then add them to the appropriate products later. Shopify allows you to add different variants of products — say, different sizes of one product. These product variants will be displayed in a dropdown on the product page. Scroll down to the Variants section of the product edit page and click Add variant. You'll need to add an option name and option values. The option name designates the kind of variation (size, color, etc.) and the option values designate the specific variation (large, yellow, etc.). For example, "Size" would be the option name, and its option values would be "Small, Medium, Large". Finally, you'll want to enter in the product's price and your inventory levels. Shopify can automatically track you inventory for you. In the Inventory section, click the Inventory policy drop-down menu and select the option Shopify tracks this product's inventory. If you have a product without variants, update the price under Pricing. 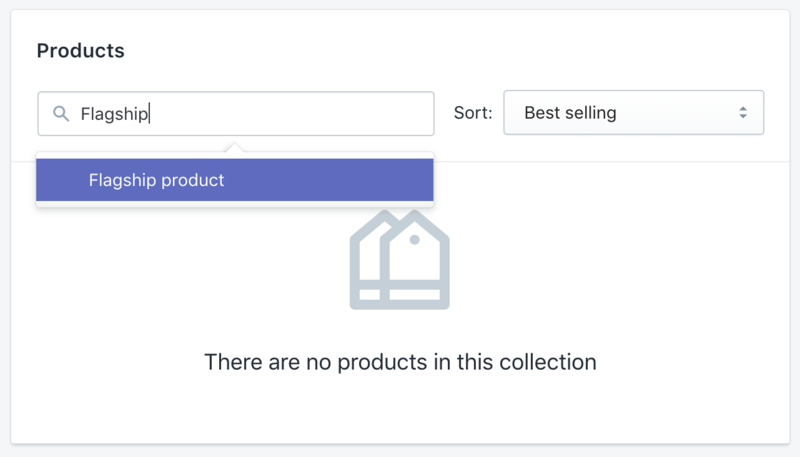 Collections are used to organize your products according to type (e.g. Shoes, Socks, Sale etc. ), allowing your customer to easily explore your products. The title is the only mandatory field. Name your collection, e.g. "Shoes". Type a description for your collection. This will be visible when your collection is displayed on your website. 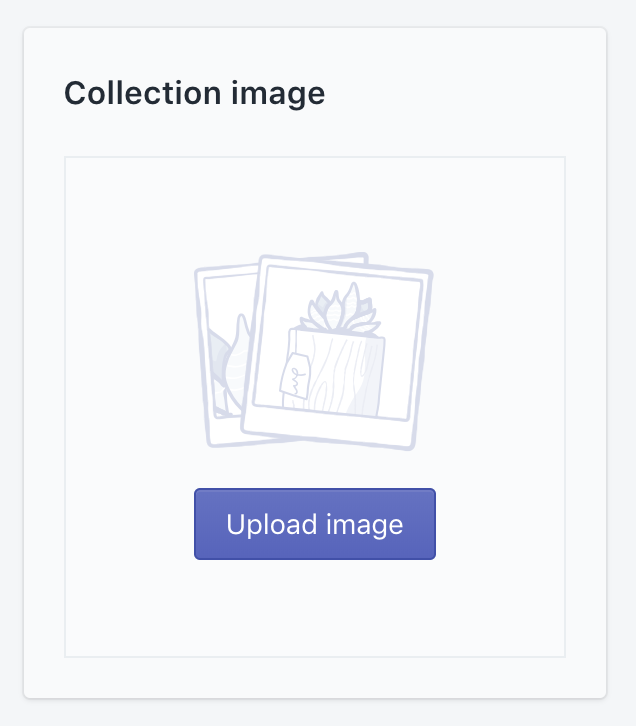 The Collection image may be displayed on your home page or the collection page. Click Upload image to upload one of your own images for your collection. In the Conditions section, click Automatically select products based on conditions. Use the dropdowns to set the condition(s) that a product must match to be added to the collection. For example, you can create a collection for all products that contain the word "shirt" in their title. Shopify stores come with a page creation tool, which you can use to generate static pages. From your Shopify admin, go to Online Store > Pages. Shopify has default "About Us" page made for your, with some tips on how to tailor your own. Click on the post title to edit the page to your liking, then click Save. You may also want to add a contact page. Start by going back to Pages. Then click Add page. On the right-hand side, you'll see a box titled Templates. Use the dropdown to set the template to page.contact. This will add a contact form on the page for your visitors to get in touch. Now, simply add a title and some content. Then click Save. Shopify has a great built-in blog, which we believe is a really powerful tool for your ecommerce business. Go to Online store > Blog posts from within you Shopify dashboard. By default, Shopify as a pre-existing Blog create for you called "News". Click Manage blogs in the header to either edit the News blog or create a new one. 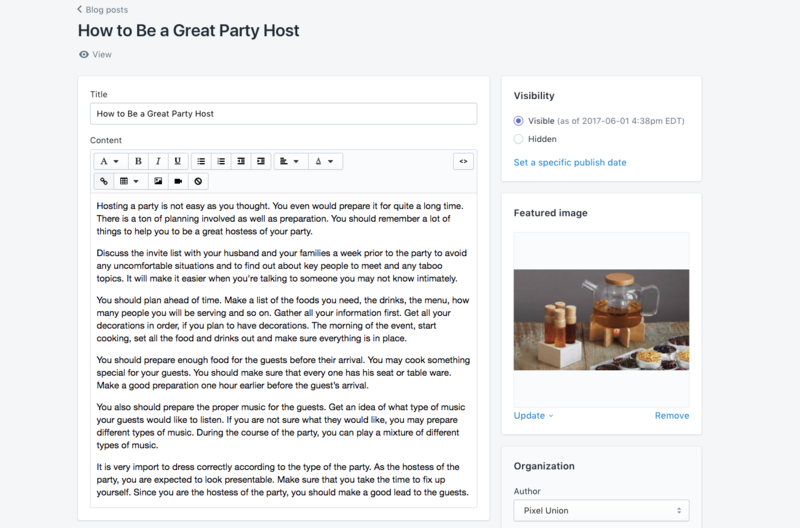 Once you've selected which blog you want to edit, click add blog post. Add a title, content, and a featured image. The featured image will be displayed around your site and on the blog index. We also recommend adding an excerpt. Click Add excerpt under the content field. The excerpt will be shown when your blog posts are featured on the home page or blog index. We suggest you either create a short summary of the post (~50 words) or paste in the first ~50 words of the post. Once you're all done, toggle the option to make your post Visible to publish it, then click Save.